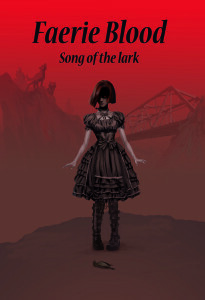 Faerie Blood: Song of the Lark– Available on Amazon and Kindle. 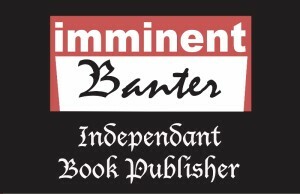 In the aftermath of her parents’ abrupt separation and her father’s failing health, Olivia Grey’s innocent night on the town takes a sinister turn when she is caught in the crossfire of an ancient blood feud between immortal races, exposing a dark world of magic that she has unwittingly been a part of since her birth. Creatures from myth and legend wage war in the dilapidated buildings of suburban New York and dark corners where mortals fear to tread. Olivia Grey, a seemingly ordinary teenage girl from a broken home, is violently thrust into this world when she is marked by a deadly curse, and her fate becomes entwined with the intrigues of immortals. Learning that the stories of her childhood are all true, Olivia embarks on a quest to find the creature who cursed her lest she succumb to a fate worse than death. But, she is not alone in her quest, as a motley crew of faeries, werewolves, mages, and friends rise to meet the challenge with her. Can Olivia embrace her birthright and stave off the darkness that threatens to devour her and the world?